More then 25 years IGRALUB is a reliable partner in the field of lubricants and lubrication systems. It is a specific and effective troubleshooting guaranteed in the area of rail transport and railway equipment, automotive and bike, crane and material handling, industry and machinery. To achieve something special and to offer something special are our demands. With special solutions we offer our customers reliability, safety, high efficiency and a good price-performance ratio. IGRALUB products for the automobile guarantee the optimal functioning of all moving parts on the vehicles. Aggressive environmental influences, which lead to seizing and oxidation, are effectively prevented. 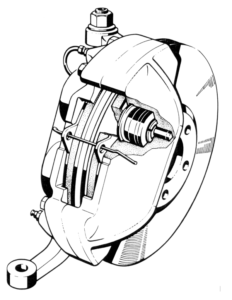 IGRALUB’s brake spray is unique in the world, eliminating annoying brake squeal and uneven wear of the brake surfaces. 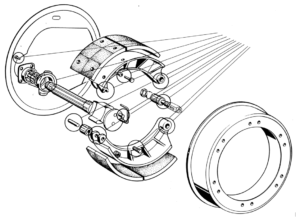 An analogue product has been developed for bicycle (Bike) and motorcycle brakes. The products are available as pastes, in aerosol, special brush spray or brush cans. YouTube: Video against squealing brakes on bicycles.